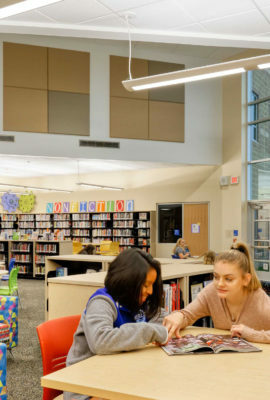 The new College & Career Academies at Fishers High School and Hamilton Southeastern High Schools provide seniors with a launch pad for success. 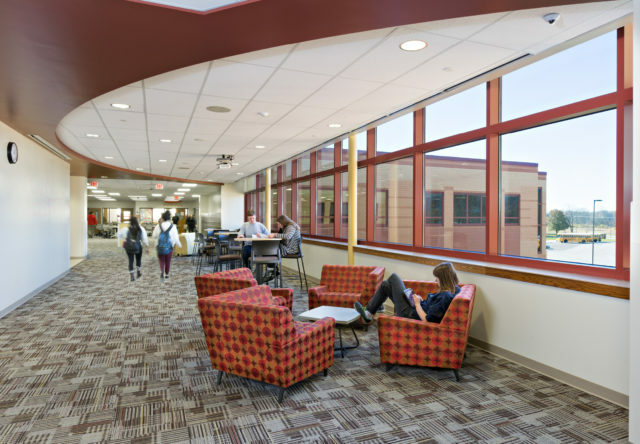 Fanning Howey served as Architect of Record for this design-build project, which creates specialized academies focused on offering project-based learning opportunities in a flexible environment. 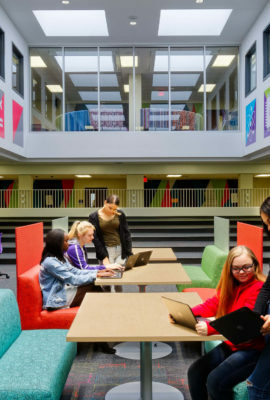 The Academies bring a collegiate-level learning experience to the high school, allowing students to learn the collaboration and critical thinking skills they need for the next phase of their education. 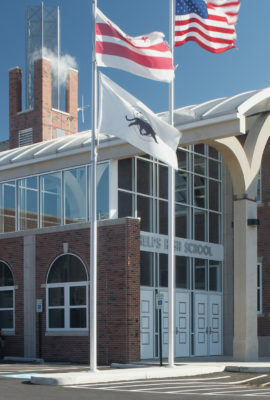 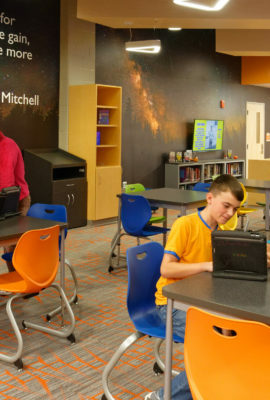 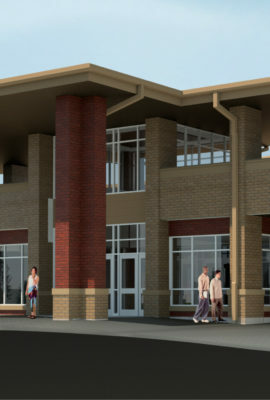 Project areas are accessible from adjacent classrooms via glass operable walls, and up to five classrooms can be connected at one time. 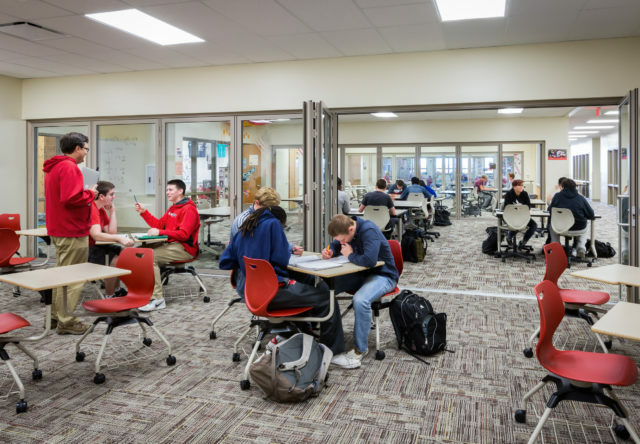 Project areas are accessible from adjacent classrooms via glass operable walls, and up to five classrooms can be connected at one time. 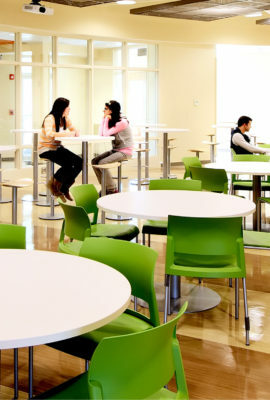 All furniture is completely mobile. 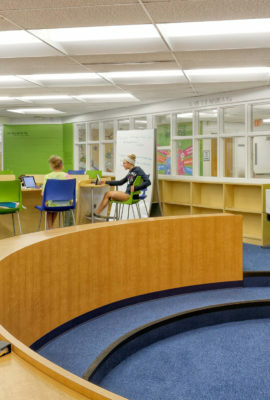 Breakout spaces in hallways and corridors allow for collaboration and individual study. 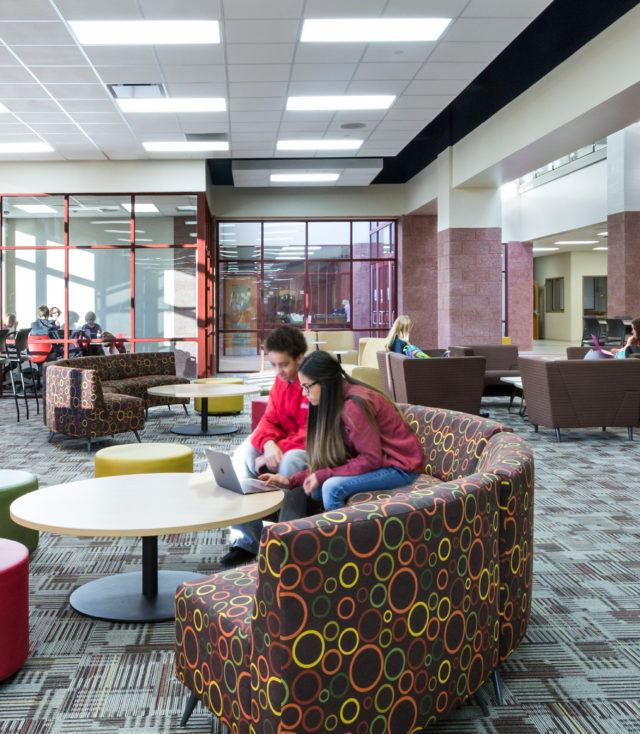 The cafeteria/learning commons/café is a multi-functional space created to be the center of student activity. 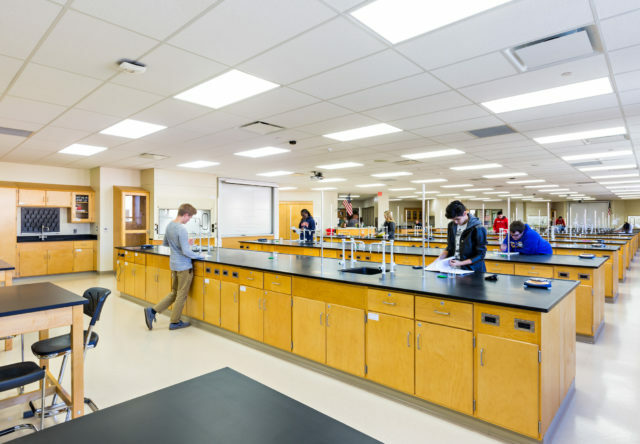 Following a collegiate model, the science lab supports four classes simultaneously and includes a full-time teaching assistant. 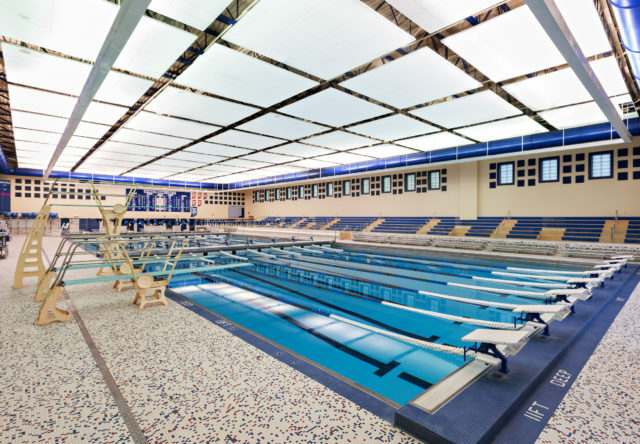 A 9-lane, 50-meter competition pool at each school provides students with fast water for athletics and safe water for instruction. 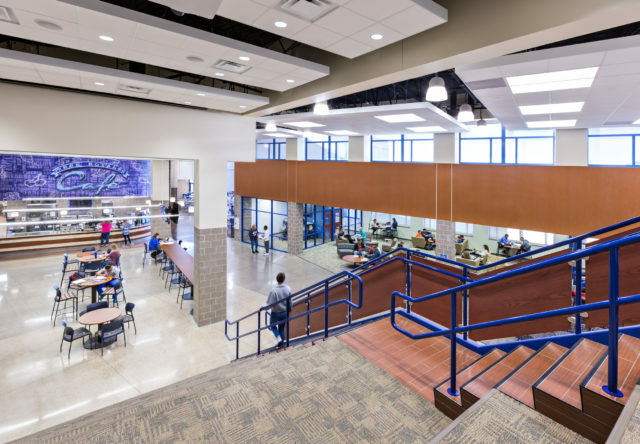 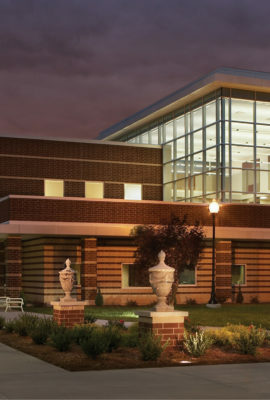 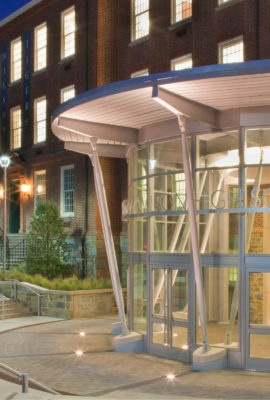 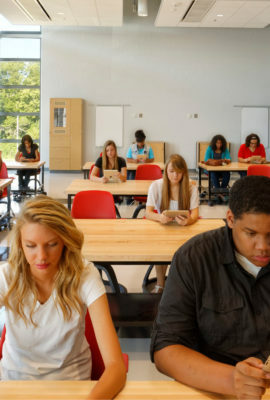 The well-executed design of our College & Career Academies stands up to the best learning environments in the country.